Thanks for this post. I’ve been battling with these two as well, as you likely know. I’m off meds now and had been enjoying the return of intense emotions and (for me) the ability to cry. But now after a year of struggle, and down turn and a troth I cannot pull myself out of I’m thinking of going back to meds. Therapy is important. I’m doing that. Health is important too, but I don’t even have the energy to work out. Eating a chore like taking a vitamin, I do it out of necessity not joy. Thanks for sharing your path. It will and does encourage others including me today. Happy birthday, friend! Thanks for reading and sharing your journey through words and images as well! my friend sent this blog post to me. thanks for sharing. makes me feel like i’m not the only one on this journey. a lot of times i still struggle with why i have to take medication and why god can’t just heal me. i mean.. this is not what he had intended for creation, right? and after knowing christ, aren’t you supposed to be restored? is this supposed to be the thorn in our side to make us remember how weak we are. but being depressed doesn’t seem like it helps with being a good witness. i dunno.. maybe along the way my theology has gotten screwed up after hearing so many people preach different things. it’s just been a long journey, and i can only hope that this is not the end. 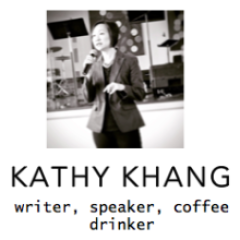 hi Kathy, i’m a Chicago-born Taiwanese-American now living in NYC. MDD and PTSD have been affecting me for years, on and off (http://estherogen.blogspot.com/2011/10/true-sense.html). autumn is particularly lovely and difficult (http://estherogen.blogspot.com/2012/10/this-very-present-darkness.html). at times the incomplete theologies of well-meaning friends have added isolation to the stigma that already is there. but Christ’s mercy is for them, and me. i drop by your blog for your well framed posts on intercultural communication for Asian Americans (women in particular) especially within the church, but living with mental/psychological ailments (also within the church) requires patient boundary-crossing dialogue too. you are quite skilled and positioned for this discussion: thank you for your courage in availing your story and this discursive space. i trust we’ll chat some more, sister. keep hoping in Christ, and Christ in you–the hope of glory. p.s. my brother in Seattle swears by his happy lamp in the grey winters. Many thanks for stopping by, and now for sharing your story with me and my dear readers as well. For all of the more “controversial” issues that I periodically take on, it really is the personal stuff – the parenting, the marriage stuff, the friendship stuff, the depression – that keeps me writing publicly. I look forward to our future chats, sister. And I am looking forward to using my happy lamp! Thank you Kathy for taking a bold step off aith to share your journey of mental health. I too stay on my daily dose of Vitamin L and sleep and exercise. It’s a routine I’ve needed to stay on course for about 12 years now, and once in a while I’m blind-sided and side-swiped by a different trigger that overstresses my being and I have to recalibrate. That is to say, my triggers are not seasonal, seasons don’t affect me as much as drastic changes, expectations, and things in the stress category. Sometimes when I think I’m prepared and can do something, it turns out my emotions can’t keep up and I veer into a tailspin. By the grace of God and encouragement of a few loved ones, I continue on… I share your hope and dream that we can break the stigma in our generation.